Moore's law is the observation that the number of transistors in a dense integrated circuit doubles approximately every two years (according to Wiki). It is nowadays the case that it applies to most of the technology space. In 1997 the fastest supercomputer in the world was the ASCI Red. Capable of 1.8 teraflops, it was the size of a tennis court and cost $55m. In 2005 Sony launched the Playstation 3. It was capable of 1.8 teraflops too, was $500 and was the size of a phone book. The landline telephone was invented in 1878 and took 75 years to reach 100 million users worldwide. The mobile phone was launched in 1979 and took 16 years to reach 100 million users. Candy Crush was made in 2012 and took 15 months to reach 100 million users. Password hacking is big business. The News of the World found this to their cost, realising that hacking mobile phone voicemails via password gave them exclusive insights into the rich and famous. It eventually put them out of business. In the world of telecoms then PBX hacking via brute force attacks on the system can cost tens of thousands of pounds. I have witnessed a weekend attack cause a £45,000 loss to a business and all this is straight off the bottom line. This is an interesting article, which toys with the importance of password security. You need it everywhere: On your personal online banking, on your internet activities in general, on your company IT and telecoms setup....... everywhere. Moore's Law is proving to be quite accurate as a rule of thumb. Your safe password today will be easily compromised by the computers of tomorrow. Can you afford to be relaxed about it? Think your password is secure enough? You may want to think again. In 2014, nearly half of Americans had their personal info exposed by hackers – and that doesn’t even count the many companies that experienced breaches. Selecting an obscure and complex password and changing it frequently can spell the difference between keeping your data secure and having your personal information stolen. We’ve gathered insights and advice to empower you to tighten up your online security – and keep hackers out of your personal business. To get started, we set out to discover just how quickly a seasoned cracker could “brute-force” various types of passwords (systematically check combinations until finding the correct one) based on factors such as length and character types. We also created an interactive feature that lets you estimate how long it would take someone to crack a password now compared with how long it took in the past. 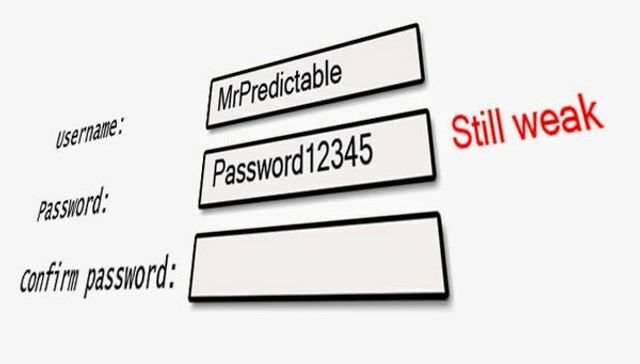 If you come up with an idea for a potential password, our tester can tell you just how secure it is. Just how many days, weeks, or years worth of security an extra letter or symbol make? How does password strength change over time? The answers just might surprise you.